As children begin to learn to read, they come to recognize many common words in our language known as sight words. Some examples of sight words are they, were, was, and here. Often these words cannot be “sounded out” and help improve reading fluency if memorized. Check out these apps to help build your child’s bank of sight words. Designed after the famous app, Fruit Ninja, this app presents sight words to children to slice and chop. The app begins by tossing 1 word into the air for children to slice. The word is said aloud, and children must slice the correct word. There is not a lot of feedback given for words sliced incorrectly, other than the word being grayed out. Parents, keep watch to be sure your child is discerning the correct word and not slicing all the words presented. As well as watching your child play, be sure to set up the game in the Settings area at a level where your child is challenged and the words are appropriate. 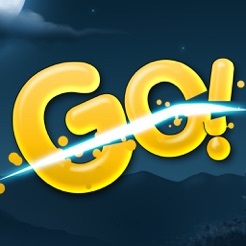 There are five different sets of words, three levels of difficulty, and options for the length of the game. The app costs $1.99 and is appropriate for children ages 4-8. Word BINGO provides a fun way to practice recognizing and spelling over 300 words from the Dolch sight words list. Three activities engage children to identify spoken Dolch words, and one activity has children unscrambling letters to practice spelling them. 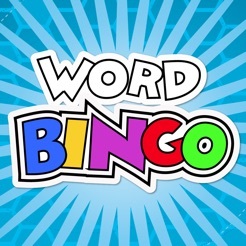 Every time you make bingo or spell ten words, two of the other activities become available. These activities are game-like, entertaining, and motivating but still have users practicing from the word lists. Children earn bingo bugs that they can play with after successfully completing activities. Some key features in Word BINGO are the multi-player format, a user report card, levels for word lists and games, and thorough instruction and options pages. Parents, be aware that the music is upbeat and could be viewed as distracting to other children working nearby or to yourself. There is an option to mute the sound. The app costs $2.99 and is appropriate for children ages 4-8. 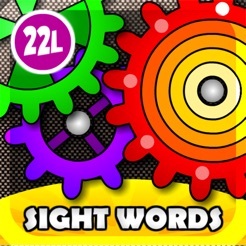 This app provides a variety of games for reinforcing identification of sight words. In each game, words are paired with speech so even very young children can experience over 200 sight words. The games are engaging and fun for young learners. Children will enjoy the word machine, which pops out 3 options for a sight word from which the child must pick the correct one. Another unique game is the gears game in which children must listen to the center gear say the word and match the brightly colored gear with the sight word. In the end, the gears make a puzzle in which all the gears turn and move together. The app costs $2.99 and is appropriate for children ages 4-8.